I'm not saying I support bullfighting. I'm not saying I enjoyed watching a bullfight. I'm just saying that different cultures have different traditions. This photo is an entry for Photo Friday at Delicious Baby. 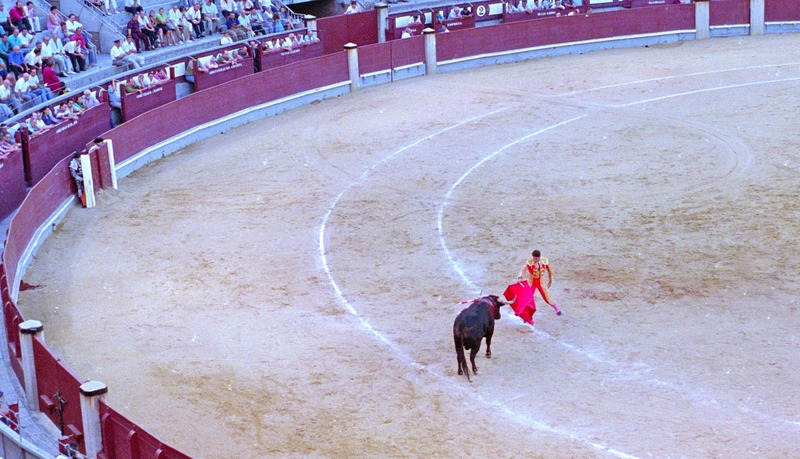 I saw a bull fight long, long ago during a trip to Mexico. Loved the fancy outfits and fanfare...the bull fighting...not so much so. But as you say, it's a big part of the culture in certain places. We watched a really interesting documentary on a bullfighter on 60 Minutes a few months ago. Made me wish I had gone to a fight while we were in Spain a few years back. I was too scared to go. I'm still certain I wouldn't really like it, but it would have been a unique cultural experience.